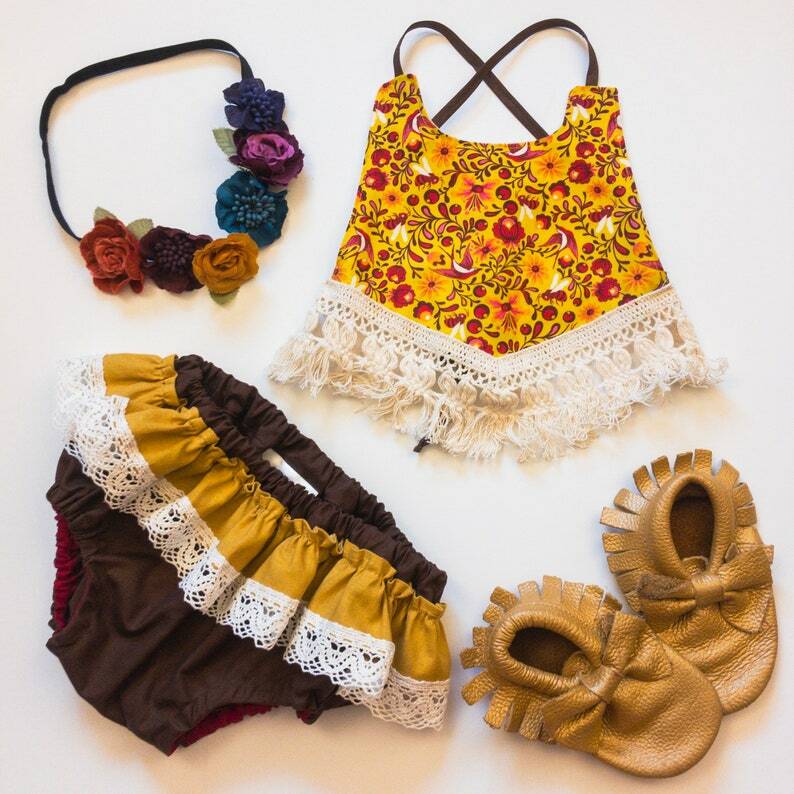 The perfect set for everyday adventures or a themed bohemian photo shoot, this set features a gold crop bib top with cheerful red birds and flowers. Trimmed in crochet lace tassel trim with a laced, tied back. The bloomers are a simple chocolate brown with a linen blend and crochet lace ruffle for added whimsy.